Check-out this week's clips from the 27th episode of Kamen Rider EX-Aid as Nico finally joins the game of survival as the second female Gamer Rider of the series called Ride Player Nico! "You do not do that to her!" Aww. I was really hoping the new CEO had a more important role to play. But, seems he's just someone that's "there" for the Poppy Plot. Which means he'll likely be killed off sooner rather than later. 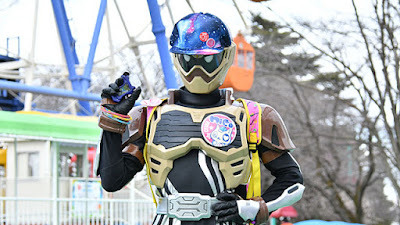 I also just don't like his Bugster form lmao. "CAN YOU FEEL THE LOVE TONIGHT!"